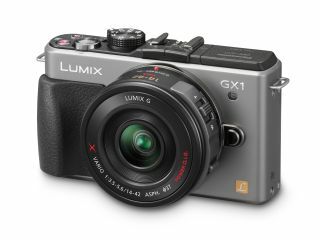 Panasonic has introduced a new camera to sit in its G range, the GX1 is the much anticipated pro compact system camera that has been in development for some time. The GX1 features a micro four-thirds size 16.0 million pixel Live MOS sensor and includes a number of features, including automatic shooting modes, a touchscreen to control autofocus and full manual control. High-speed focusing is promised by the precise AF, with Panasonic claiming that the 0.09 focusing speed is the fastest AF speed among Compact System Cameras, a claim previously made by the Olympus PEN E-P3. Burst shooting speed of up to 20 fps is also possible. Panasonic G series cameras are compatible with a wide range of micro four-thirds lenses, including the new X Zoom lenses which were announced earlier this year. The camera also includes a Venus Engine image processor, while sensitivity can be pushed up to a maximum of ISO 12800. AF modes on board the camera include multiple-area AF, Face Detection and AF Tracking. It also comes with an integrated flash. Fast becoming a popular feature among compact system cameras, the Lumix GX1 features a touchscreen LCD. Full HD video recording is also available in AVCHD format, with 50i and stereo sound.